This note presents some figures to show how UK pensions compare with those in other countries. While it includes a comparison of state pensions it goes on to show how such an exercise fails to take account of other structural differences in the sources of pensioner income across different countries. A comparison of state pension alone shows the UK significantly lower than most other countries, however, the relative position of pensioners converges if income from all sources is considered. This information is provided subject to our general terms and conditions which are available online or may be provided on request in hard copy. Authors are available to discuss the content of this briefing with Members and their staff, but not with the general public. It is often noted that the UK Retirement Pension is set at a lower rate – relative to average national incomes – than equivalent pensions in other European countries. This has been shown on numerous occasions and is the general conclusion of studies comparing the basic UK state retirement pension with similar benefits in other EU countries. This was recently highlighted in a report by the International Longevity Centre (ILC), which claims that the state pension of £113.10 a week is worth a third of the average salary for someone in work. 1 This can be argued to only tell part of the story, as it overlooks many of the differences in pension and social security provision between countries. Most notably studies often ignore the provision of benefits other than basic retirement pensions and income from other sources such as private pensions and savings. The “replacement rate” – the percentage of a worker’s pre -retirement income which is maintained by their pension upon retirement – increases to just under 50% when other old age benefits are included. This outcome is the result of the balance of elements within the system, and cannot be seen by examining any one component, such as public pensions, in isolation.  Earnings-related : (as in France, Germany and Italy) where the level of the pension is determined by the earnings on which a pensioner paid social contributions. Earnings- related schemes generally have a ceiling (above which contributions cannot be made) to prevent excessive pension expenditure and a floor (below which the level of pension cannot fall) to protect low earners. Some earnings-related systems, such as those in Canada and the US, have explicitly redistributive elements so that the pensions of the low-paid are higher relative to former earnings than those of higher earners.  Flat - rate : (as in Ireland and the Netherlands) where pensions are paid at a flat rate (in the Netherlands, determined by reference to the national minimum wage) and entitlement depends on either a pensioners’ cont ribution record or their history of residence.  Means - tested : (as in Australia and Finland) where the state guarantees a minimum pension but takes into account a claimant’s other income and assets (only income from pensions in Finland) in determining the amount actually payable. The British state pension system is predominantly flat-rate with the State Second Pension (S2P, formerly SERPS) providing an earnings-related element. Because pensions are dependent in many countries on former earnings, any comparison between these countries usually looks at pensions of those on specific levels of earnings. The following figures – the most recent authoritative set for OECD countries - are typical of this sort of comparison. They consider the pensions of a former worker on average earnings, and express pension benefits as a ‘replacement rate’: a proportion of the (revalued) average earnings of that person. The figures are estimates of the hypothetical level of pension which people would receive if they work for a full career and if today’s pension rules remain unchanged. 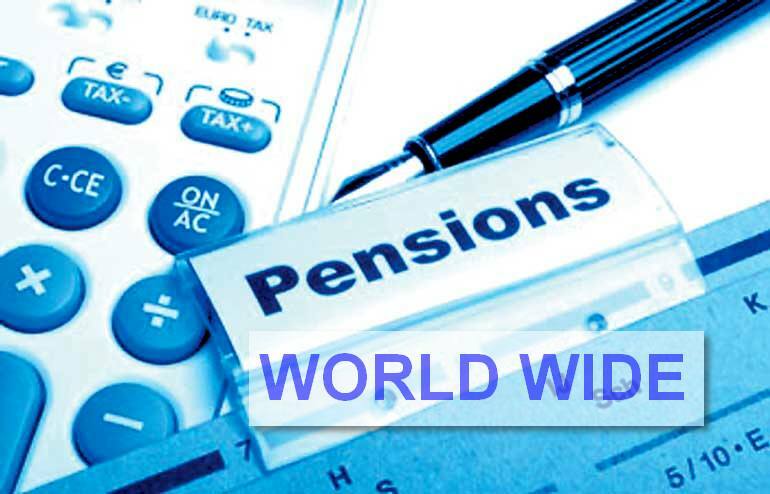 They provide a comparison of today’s pension policies which is not necessarily the same as the pensions received by to day’s pensioners or those which will be received by pensioners in the future (especially given pension reform initiatives in many countries at the moment). The conclusions from this table are clear; the UK has a markedly less generous public pension system than other EU countries. Those near the bottom of the table with the UK share some of its pension characteristics – Ireland has a largely flat rate system of state pension benefits and Japan and the US have, like the UK, relatively developed private pensions sectors. It is worth noting, however, that studies such as those above do not always take into account the contribution that income other than public pensions make to the incomes of pensioners. In the UK, there are two particularly important sources of other income: means-tested benefits top up the incomes of pensioners in the lower part of the income distribution, while occupational and personal pensions supplement the incomes of those further up the income distribution. Both these sources are more significant in the UK than elsewhere. This is illustrated in the figure below, 3 which shows pensioner households’ a verage income from each of three main sources as a share of total income. So, for example, it shows that in the UK each person in a pensioner household receives 50% of their income in state pensions and other social transfers, 12% from work and 39% from capital including private pensions and income from returns on non-pension savings. While net replacement rate comparisons with other OECD countries reveals that the UK ranks 32 nd of 34 (as shown above), the UK moves up to 22 nd when considering the share of all state social transfers (including supplementary benefits) in total income . The average share of pensioners’ income received from private pensions and other forms of capital ranks 4 th in the OECD. The annual Melbourne Mercer Global Pension Index 4 – a cross-country comparison of overall pension provision compiled by Mercer, the actuary, and the Australian Centre for Financial Studies – finds that the UK has continually improved its ranking since 2009. The index, composed of more than 50 indicators under the sub-indices of adequacy,sustainability and integrity, reveals that the UK’ s performance in these categories has improved from a score of 63.9 to 67.6 between 2009 and 2014 (relative to averages of 61.4 and 61.1 respectively). Much of this improvement has come from enhanced adequacy in pension provision, largely due to an increase in the net replacement rate and an increase in the pension coverage indicator. Yet despite such improvements, the UK has seen consistently lower scores than countries such as Denmark, the Netherlands, Sweden and Australia. The table below reveals that the main drag to the UK’s performance is its sustainability score, and while this has seen an increase since 2012, sustainability still lags behind the aforementioned countries as well as Canada, Chile, Mexico, Switzerland, Singapore and the United States. In the UK the state pension age is currently 65 for men and 60 for women. The women’s age will rise to 65 progressively between 2010 and 2018. From December 2018 the state pension age for both men and women will start to increase, reaching 66 by October 2020. The State Pension age for men and women will then increase to 67 between 2026 and 2028, followed by a further increase from 67 to 68 between 2044 and 2046. The UK is not unusual in having a lower pension age for women than men – a similar system is in place in Austria, Greece, Italy and Poland. Equally, once the women’s age in the UK rises to 65 it will mirror the position in many others – including: Denmark, Germany, Japan,Netherlands, Portugal, Spain, Sweden, Switzerland and New Zealand. In a contribution- based system, today’s pensions depend on past contributions, past earnings and indeed the past savings behaviour of today’s pensioners. They al so depend on the past rules of the pension system, which have changed significantly in most European countries in the last few years – and not least in the United Kingdom. This will affect the pattern of pensioners’ incomes, now and in the future. Comparative studies are a snapshot of the accumulation of pension rights over many years. They do not fully reflect all the changes which have been made to pension systems over that time. In the UK, for example, the effects of the 1978 changes to the pension system – the introduction of SERPS; the introduction of home responsibilities protection; the phasing out of the reduced rate contribution for married women – will not be fully reflected in the results of studies undertaken during the 1990s or 2000s. Equally, comparative studies are not necessarily informative about the incomes of future pensioners, incomes which may depend upon current reforms and those which have yet to be made. In the UK, for example, the Pension Credit, the State Second Pension, stakeholder pensions and, more recently, personal accounts are likely to be crucial elements in the retirement in comes of today’s workers. Developments such as these – and, potentially, others which are not yet known about – are not reflected in comparative analyses of current pension systems. At a time when most countries are continuing to reform their pension systems, comparative analyses can quickly go out of date. What I also find unfair is the deduction on the minimum pension because you are born too early, before the social security system was introduced in 1967. A minimum pension is based on a fixed ammount that one can survived on (not in Norway) and is fully paid,without any deductions to Immigrants, regardless of time of residence or contributions. Why should ethnic Norwegians receiving a minimum pension,with the required number of years as a resident in Norway, be punished in this way? On top of this deduction, a 15% withholding tax came in 2010 for all senior citizens living abroad. From which the minimum pensioners should have been excluded . When you realize that 70% of the pensioners are of foreign origin,compared to 30% ethnic Norwegians, we have become a sacrifice on the altar of public savings. WE, should complain about the violations of human rights.